When I was first approached to review White Rabbits’ third record Milk Famous, I wasn’t sure what to expect. The Brooklyn-based band has been around for about five years, but I had never really listened to them outside of some singles heard at bars or parties. I knew that White Rabbits has two drummers, which I always thought was interesting, but hadn’t checked them out in depth yet. Once I started listening to the first track on Milk Famous, though, I was instantly hooked. Ironically called “Heavy Metal” but having nothing to do with the style, the introductory song features everything likeable about White Rabbits: interesting instrumental introductions, vocal harmonization, electronic feel, slow build-up to the bridge/chorus, and psychedelic jam sessions mid-song. The pop sensibility, vocalization and arrangements on tracks like “I’m Not Me”, “Everyone Can’t Be Confused”, “Are You Free”, “It’s Frightening” and “The Day You Won The War” remind of Wolfgang Amadeus Phoenix-era Phoenix. These are the most easily accessible songs on Milk Famous and you can almost picture them in movies, commercials or playing during particularly non-threatening moments of popular TV shows. However, what keeps these songs from being too cookie-cutter is signature White Rabbits arrangement breakdowns and/or jam sessions somewhere during the middle of each song. The strange instrumental compositions on tracks like “Hold It To The Fire”, “Temporary” and “I Had It Coming” keep the album from getting too repetitive and are my favorite on Milk Famous. Listening to these songs progress makes it easy to understand just how much work was put into each track as well as overall production to make sure that every song on the album could stand alone as an accurate representation of the White Rabbits sound. Some of the songs towards the end of the album like “Danny Come Inside” and “Back For More” just don’t do it for me, though. 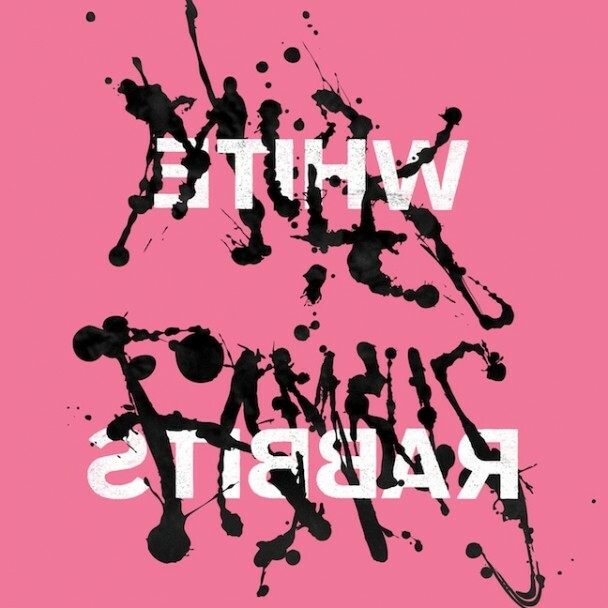 Somehow the delicate balance of everything I like about White Rabbits gets lost in either an effort to sound too much like dance music or overproduction. All in all, Milk Famous is a great album. I had a lot of fun listening to it throughout many workdays and can easily see it on heavy rotation throughout this summer’s playlists. Should you decide to check out Milk Famous, you won’t be disappointed! This entry was posted in Music and tagged Brooklyn, indie, Milk Famous, White Rabbits. Bookmark the permalink.